If a light bulb breaks in the socket, we’ve got three tricks to help you safely extract it, without damaging your light fixture. 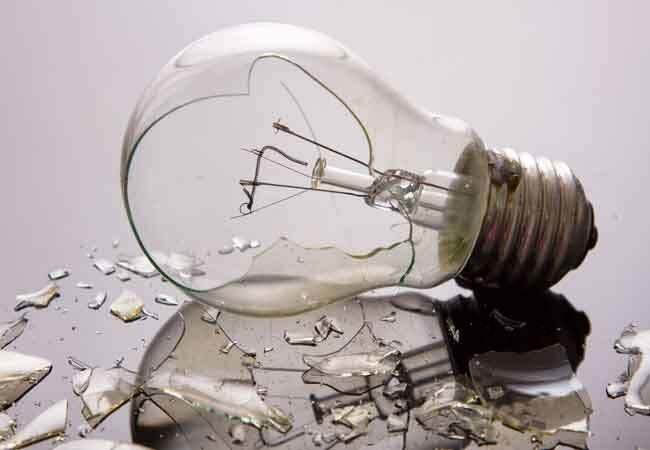 Incandescent light bulbs are known to occasionally shatter in their fixtures—and when they do, it’s both difficult and dangerous to extract the bulb’s threaded base from the socket. 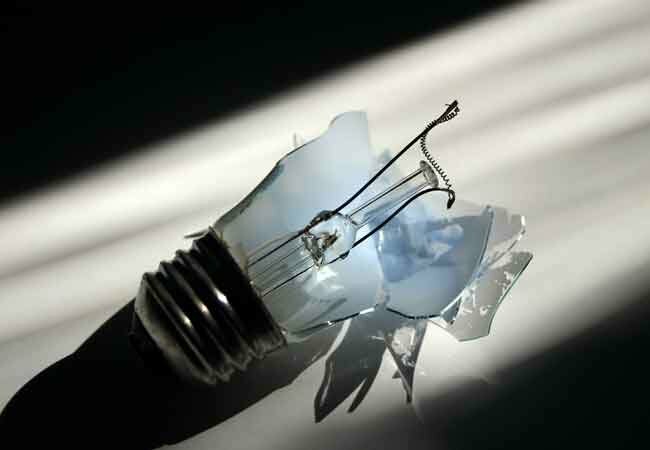 Bits of broken glass and the risk of electrical shock should make anyone think twice before attempting to take out what remains of the bulb. Luckily, there’s a number of strategies for how to remove a broken light bulb without using your hands, and you’ll likely have at least one of these three tools on hand: a pair of needle nose pliers, a raw potato, or a commercially-sold broken bulb extractor. First, thing’s first: Disconnect the electricity to avoid getting shocked. For a lamp, simply unplug it. For hard-wired lighting, flip the light switch off and disconnect the electricity to the room at the breaker or fuse box. It’s wise to cover the floor with a tarp to catch any rogue glass (if not, make sure to thoroughly vacuum up the area afterward, just in case). And be sure to don safety glasses and protective gloves before getting started. Though it’s tempting to recycle glass incandescent bulbs after you recover their bases, this is not recommended. They are not worthwhile candidates for recycling because they contain tiny wire filaments and metal pieces too difficult to separate from the glass. And unlike other types of light bulbs, such as CFLs, incandescent bulbs don’t contain hazardous toxins such mercury that needs to be disposed of and recycled carefully. So go ahead toss them in the trash (just make sure to wrap them well so the glass won’t puncture the bag, which could injure anyone handling the garbage). This method is simple, but proceed slowly and cautiously that you do not damage the light fixture. 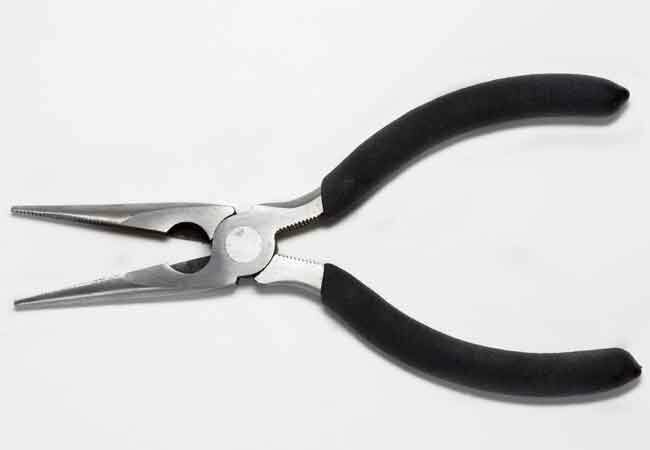 Grab a pair of needle nose pliers from your toolbox and carefully grab the metal rim of the bulb’s base; bend it slightly inwards if you necessary to get a better grip. With your pliers firmly latched on to the broken light bulb, try to gently unscrew it. If it doesn’t budge right away, repeat the process of bending the metal of the base inwards in a few more spots until it starts to budge or the base breaks apart altogether. Then remove any remaining remnants and throw them and the bulb in the trash. Remember that grade school experiment when your teacher powered a light bulb using a potato? It turns out potatoes can do even more for light bulbs than just provide electricity. They can be used to safely extract the broken end of a light bulb from the socket. There are two ways to try this method. First, slice a medium-sized raw potato in half, short ways. 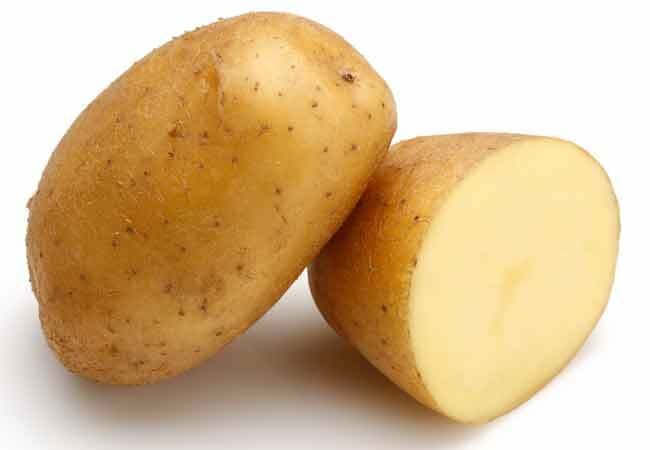 Dry off excess moisture with a paper towel, then push the cut end of the potato firmly onto the base, as deep as it will go—the glass filament support on the bulb’s base and any broken glass pieces protruding from the base should cut through the potato and bond the two together. Turn the potato counterclockwise until the lamp base begins to unscrew. Remove the broken light bulb’s base, throw away the potato and bulb, then pat dry any part of the fixture that may be wet. If that attempt fails, you may need a tighter fit. So carve the round the end of the other half of the potato into a cylinder to fits snugly inside the socket (not overhanging the screw threads, like the previous method allows for). Press it firmly into the base of the lamp until it is securely attached, and twist the potato counterclockwise until it turns the base along with it. You may already have a commercial bulb extractor on hand or decide now’s the time to buy one. Available for around $10 at home improvement centers and well-rounded online retailers (see this well-reviewed tool from Bayco on Amazon), these tools are typically made to extract both standard sized or smaller incandescent bulbs. They have rubber tips that you simply wiggle into the bulb’s base, similar to the other methods, and rotate counterclockwise. If you have your pick of options at the store or online, consider choosing one with a base that enables it to be screwed onto a longer threaded pole—that way you have the flexibility to use it again if you need to remove hard-to-reach overhead lights in the future.